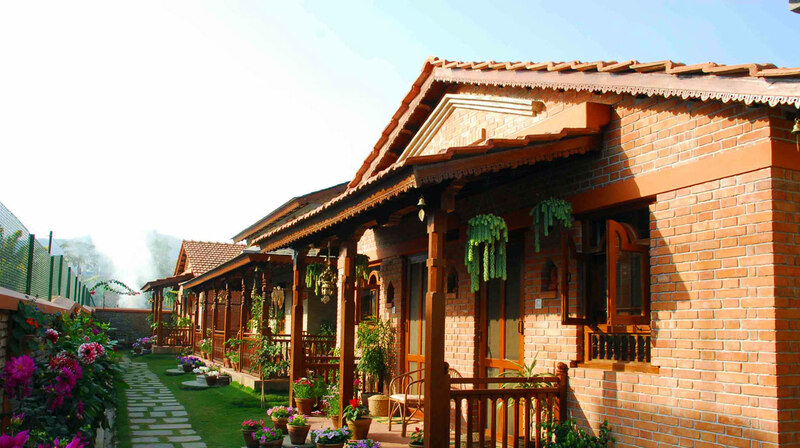 "WELCOME TO BEAUTIFUL VACATION HOME"
"Vardan" means a blessing from God (in Nepali language). With this in mind Vardan Resort n apartment was created and finished in September 2008. The Resort was constructed by traditionally skilled building and monument makers from the ancient town of Bhaktapur incorporating the highly refined styles and skills of 13th century. Nepali architecture with its craftsmanship and perfection. Enhanced by Nepali art, sculpture and carvings all the buildings are in a Quite natural environment and create an Eco-friendly ambience. Vardan Resort n’ Apartment has been providing guests with comfort and homely environment. We believe that the guest in our premises is an avatar of god/goddess and therefore will be respected and treated as the same. Guests can choose between our wooden cottage or a self-contained apartment. Each comes with Fully Facilities. Apartments is well-equipped kitchen including stove, refrigerator and kitchen utensils. From our premises there are magnificent views of the Annapurna Himalayan range, the World Peace Pagoda, Sarangkot Hill and the serene Fewa Lake. Vardan Resort n' Apartment is run and managed by a socially responsible family. We believe every business, no matter how small or big, can and should give something back to the society. That is why, we give away part of our guests' total bills towards sponsoring a the education and hostel fees for some deserving kids at Nightingale Higher Secondary School, Kupondole, Lalitpur, Nepal. We are committed to provide quality education to those children who are not able to afford it and we invite you to be part of our initiative.